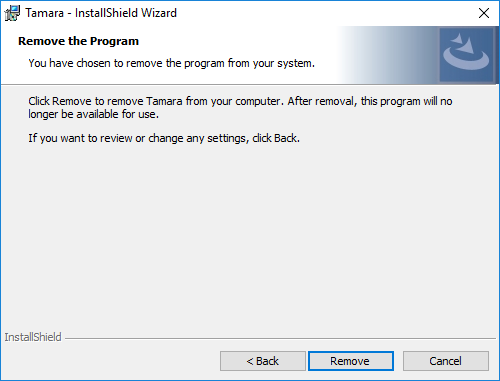 There are three possible methods to uninstall Tamara. Double click the setup file and follow the instructions as illustrated below. 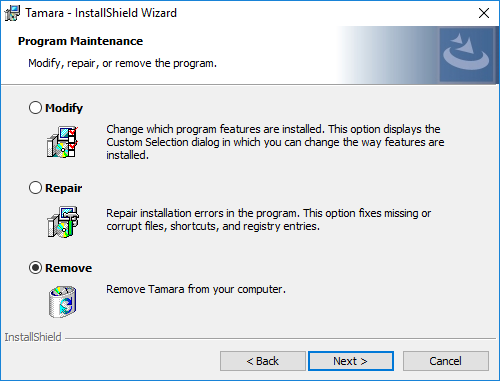 If the installation is in someway corrupted, or you wish to uninstall Tamara, please follow the procedure below. Click the Run button when your browser asks if you want to run the installer. Click 'Yes' if User Account Control asks for authorization to make changes. 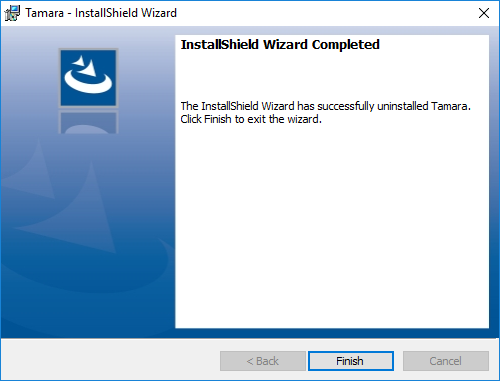 Click 'Next' in the wizard pop-up window to complete installation. Select 'Uninstalling' when prompted for the type of help you need. Select the program you wish to uninstall from the list and click the 'Next' button. Click ‘Yes, try to uninstall’ when prompted and wait until the program finishes.